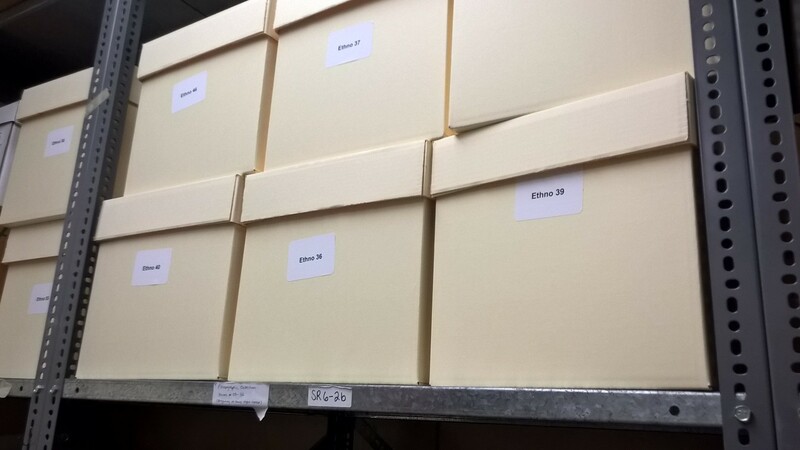 Photo of the boxes that hold the ethnographic collection! Here at the MOA, our collections primarily consist of ethnographic (historical documentation) and archaeological materials. The archaeological material is typically made from organic or inorganic materials. Organic materials are made from living organisms, such as animal, plant, bone, wood and inorganic materials are made from non-living organisms, such as stone, metal, ceramic, glass. Organic materials are preserved more closely as they deteriorate at a faster rate. 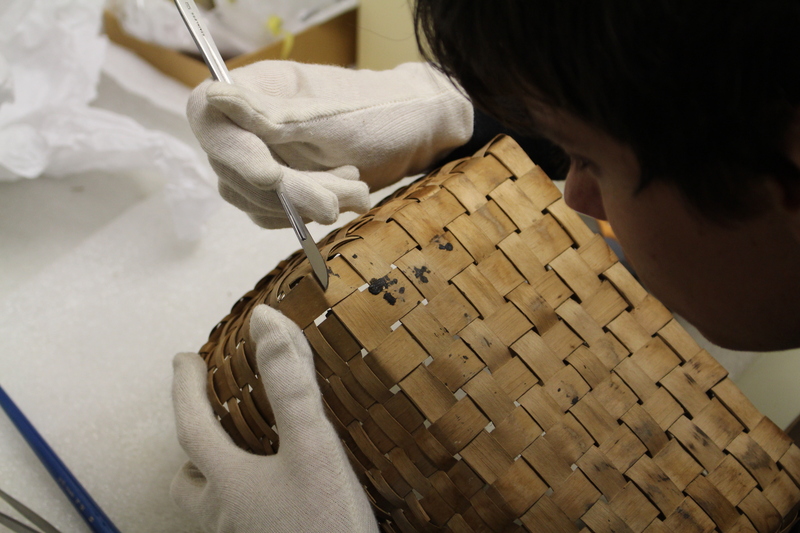 Although conservation of objects is executed when mandatory, preservation of the objects is our main goal.